Hop into an Eggciting Easter at Suntec Rewards Lounge! 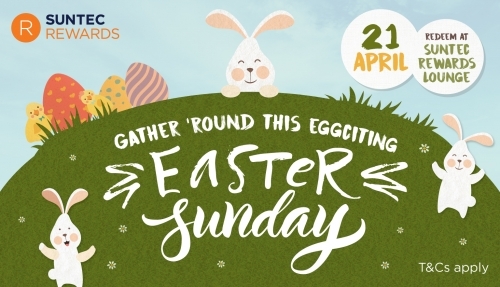 Gather' round and hop into an eggciting Easter with us on 21 April at Suntec Rewards Lounge! *Carpark Dollars can only be redeemed once.